Chinese Military Aviation Spectacular - Zuhai 2008. 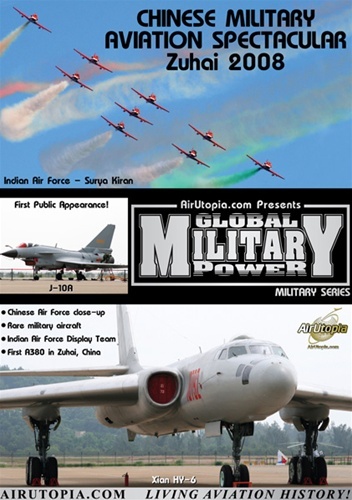 Join Airutopia at one of the most exceptional and restricted military airshows in the world - AIRSHOW CHINA 2008! 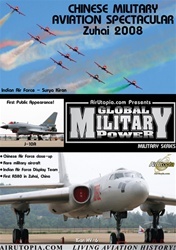 This biennial Chinese military showcase offers an unparalleled, close-up look at the air force of one of the world's largest and ever-growing super powers, the People's Republic of China. Many of the aircraft at the 2008 show were new to the world and on display to the public for the very first time! Run time for this Chinese air show video is about 80 minutes. Format is NTSC DVD and region-free.